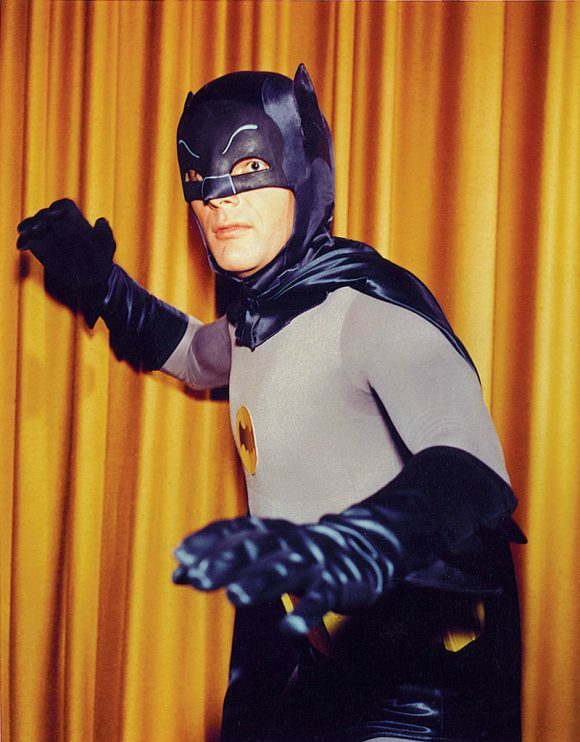 There are two Batman ’66 comic books being published right now — in a fashion. The first one you know: Archie Meets Batman ’66, a fun six-issue romp that’s the latest — and possibly last — crossover starring Gotham’s campy denizens. The second one you might not know: The Wrong Earth, by writer Tom Peyer and line artist Jamal Igle — which you should most definitely pick up along with the officially sanctioned series. 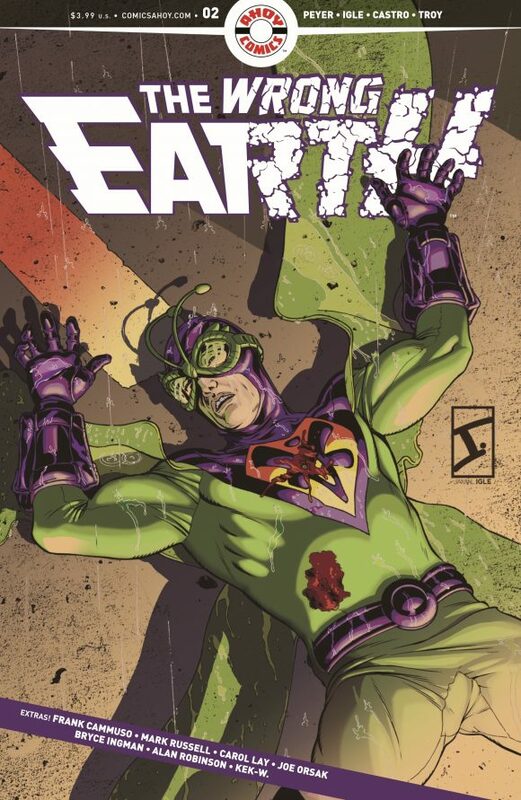 In a nutshell, The Wrong Earth, the first title launched by the new AHOY Comics, asks a very simple, yet compelling, question: What if a sunny, do-gooding, ’60s-ish caped crusader switched universes with his grim-and-gritty counterpart on an alternate Earth? Obviously, legal limitations prevent AHOY’s creative crew from using the bona fide Batman — our heroes are called Dragonflyman and Dragonfly — and there are enough details changed to keep the properties quite separate. But the world(s) built by Peyer, Igle and co. will be immediately recognizable to longtime fans of the TV series, right down to the superfluous labels used to identify, say, a RICOCHETING HEAT BEAM or an INDUSTRIAL THERMOMETER. Peyer, who is also the editor-in-chief of the fledgling publisher, especially knows of what he speaks. He’s not only a former DC editor and writer, he’s a Batman ’66 fan of the first order. We’ve quoted him on it a few times, but more importantly, he wrote a number of the original comics series’ best stories. Peyer’s gift is his ear for the show’s campy dialogue and his eye for its winking detail. 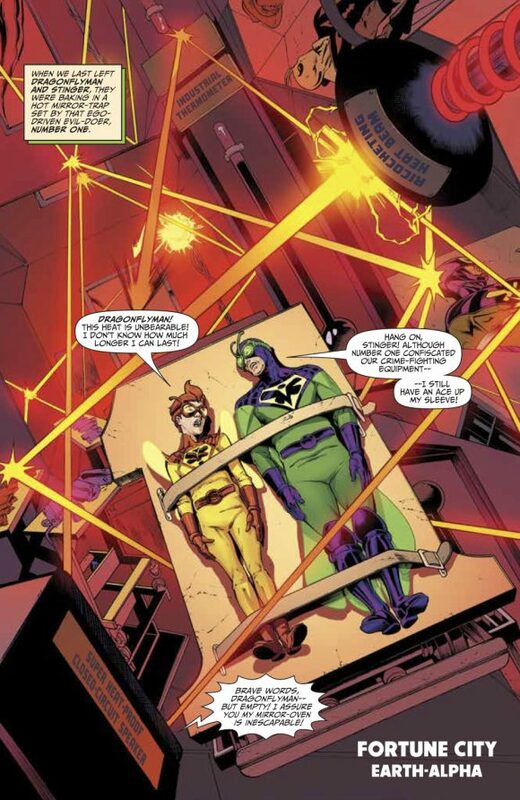 Where some writers immediately go broad when scripting the ’66 universe, Peyer exhibits the kind of restraint that marked the show’s best episodes, particularly those in the first season. That held true in his official Batman ’66 stories and it holds true in this satire. It’s additionally worth noting that AHOY is committed to giving readers what they were once accustomed to: Extra material for their buck. (Or $3.99 in this case.) 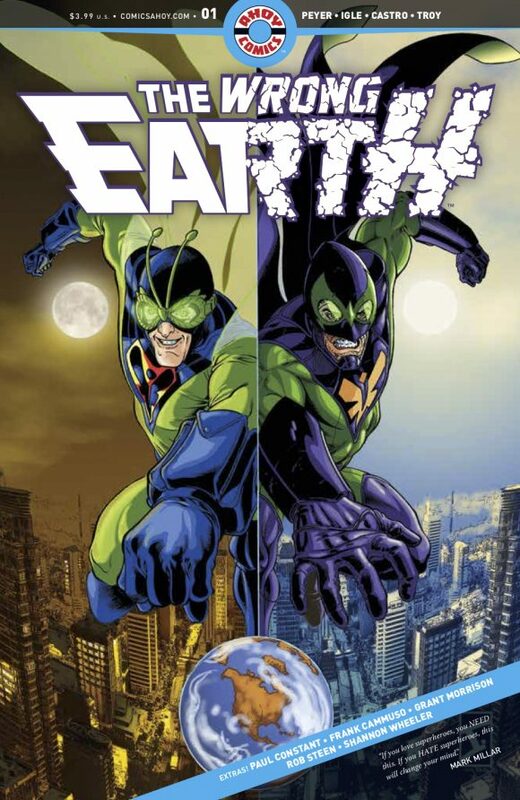 The first two issues include not just the main feature, but retro-styled back-ups written by Paul Constant that show Dragonflyman and his teenage sidekick Stinger in their natural element. There are also unrelated text pieces by the likes of Grant Morrison. Which is why it’s helpful that the book actually isn’t a Batman comic. Its independent pedigree allows Peyer and Igle to stretch the boundaries of their through-the-looking-glass worlds into the realm of sly commentary about the comics industry itself. The effect is immersive and subversive, a wildly entertaining package that has nothing — and everything — to do with Batman ’66. — EXCLUSIVE Preview: THE WRONG EARTH #2. Click here. I’m intrigued by this title and I’ll ask my LCS to order it for me. Is it intended to be an ongoing, or a limited series? Thanks, I’m in either way! It’s worth it, man. Top notch! Forgive me, but didn’t Mad Magazine several years ago did a two page parody contrasting a Dark Batman entering the 60’s tv world and Robin didn’t know what blood was? Does anybody remember this? If so, these gentlemen aren’t the first to do these. Nobody said they were, James. But a two-page parody and an ongoing series are two very different things.